The Saint's of Tristia are turning up dead. They aren't simply being killed, they're being tortured, and placed in iron masks without eye holes. Falcio and the others have to figure out who's torturing and killing Saint's all while trying to work with the treacherous Dukes. On top of all that the church is amassing forces of their own and are attempting to vie for power over all of Tristia. Saint's Blood is the excellent third installment to the Greatcoats series. The tension and drama the Greatcoats are facing trying to establish a throne for Aline while protecting Tristia is enormous. The enemies are far greater than any they've faced before. Their power was unbelievable and it seemed as though they'd easily extinguish all the Saint's along with the heir to the throne Aline. On many occasions throughout the book the situation appeared absolutely hopeless and it's shocking that the man of valor, Falcio val Mond, would continue to fight. The book was full of mystery as no one knew why the Saint's were being captured and killed or who was behind it. I can't say enough good things about Saint's Blood. The camaraderie between Falcio, Kest, and Brasti was as strong as ever. They are like three brothers who talk, joke, bluff, and fight their way through the worst of scenarios. The infusion of additional Greatcoats was interesting as their names and relationships to the others are revealed. 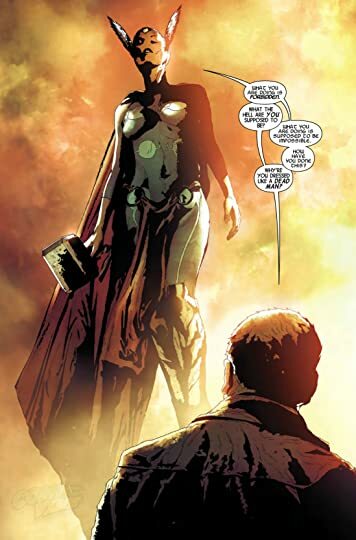 The Greatcoats are men and women who despite being asked the impossible by King Paelis, continue striving for a better tomorrow for Tristia. Saint's Blood was really an enjoyable sequel full of hope and action. Old Man Logan has lived a rough life. 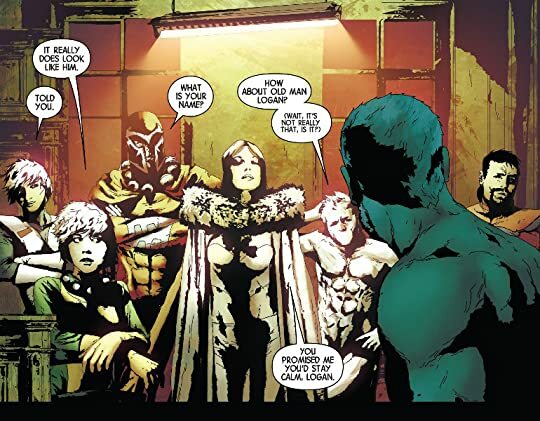 He was tricked into killing the X-Men then vowed not to kill again even though he was living in a world of sociopaths. Logan found himself and started cleaning his world up. What he finds sends him on an adventure he wasn't looking for. 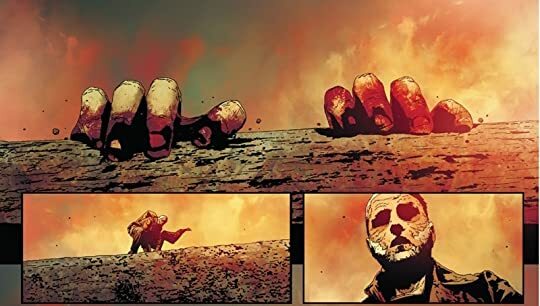 Old Man Logan is literally Logan going on a tour of the Battleworlds. The problem is he had no idea that Battleworlds even existed. He runs into some truly unexpected things. 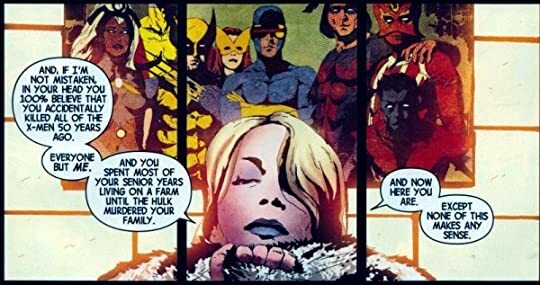 Logan truly has had it rough. Despite being old, Logan rolls with it. 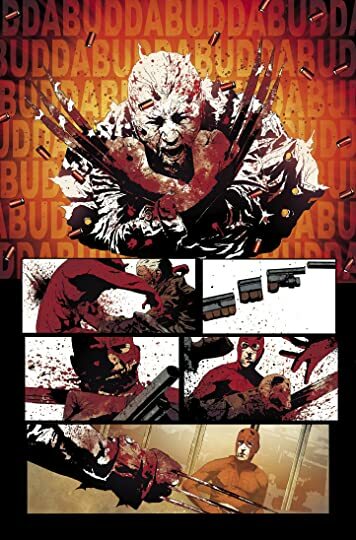 I like the Old Logan because he's similar to Wolverine, but slightly more cautious. He's a guy who would rather be left alone yet he refuses to back down. He's just a fun character. 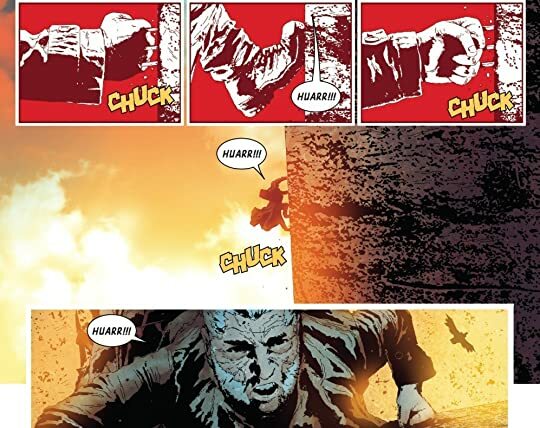 Old Man Logan is definitely one of the best Secret Wars miniseries.